Follow the Camino of Santiago de Compostela with Father Roderick! After months of planning and training (including walking miles per day with a sack of potatoes in his backpack), Fr. Roderick Vonhögen has begun his spiritual pilgrimage from Lourdes, France, to Santiago de Compostela, Spain. Over the next six weeks and more than 500 miles, Fr. 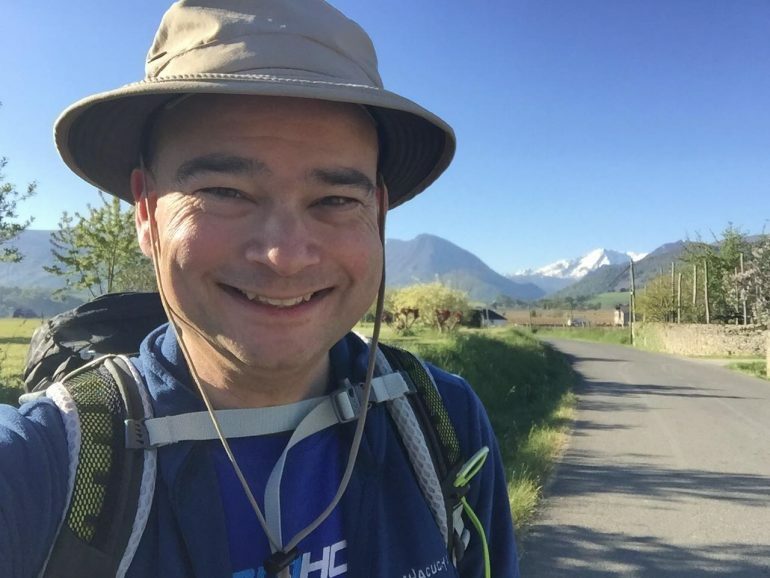 Roderick will be walking up to six hours and 15 miles per day as he journeys from Lourdes in France to Santiago de Compostela in Spain. Lourdes is significant to Father because it’s where–at the age of 17 while on a youth pilgrimage from his home in the Netherlands–he received his vocation to the priesthood. Santiago is an historic place of Christian pilgrimage over the last 1,000 years and, as the name tells us, it is the burial place of the apostle St. James. Of course, we all know that Fr. Roderick wouldn’t want to leave all of you, his friends, behind. In fact, he wants to share the experience with you. To that end, he’s brought along a few pieces of technology to let him capture photos and videos, which he’s posting on his Facebook page and on Youtube. We’ll also be cross-posting them to the Trideo Facebook Page as well. 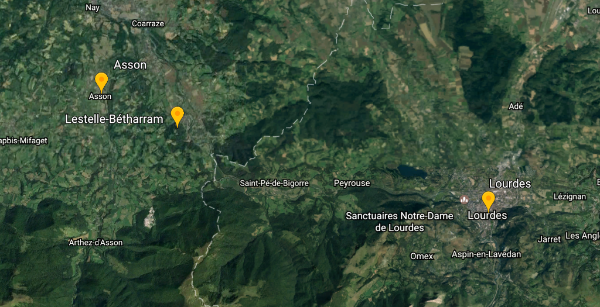 You can see his progress over the first few days of his walk on the map below and then see the route of his pilgrimage on Google Maps. It is only through the support and generosity of friends of Trideo like you that we are able to bring you Fr. Roderick’s adventures. We thank you for your support, both financially and through your prayers. Know that Fr. Roderick carries you along with him on his prayerful pilgrimage to the tomb of St. James. We hope you enjoy all our shows, that you share them with friends and family, and let us know what you think. Join the conversation with the whole community of listeners and viewers on Facebook and Twitter through our social media links.